Have you been racking up the miles in your HUMMER while searching for honest auto mechanics in the Kent and Des Moines area? If that sounds like you, stop at Premier Automotive Services and let the ASE-licensed auto repair technicians at Premier Automotive Services take a look at your HUMMER. We’ve seen all kinds of HUMMERs here, and we understand and respect the way they’re built. Although HUMMERs aren’t as plentiful as they once were in the Kent and Des Moines area, we still get them in occasionally. Our auto repair technicians appreciate the power of these magnificent vehicles and are not intimidated by them in any way. As powerful as these vehicles are, they still need some tender loving care from someone who understands a HUMMER’s inner workings. 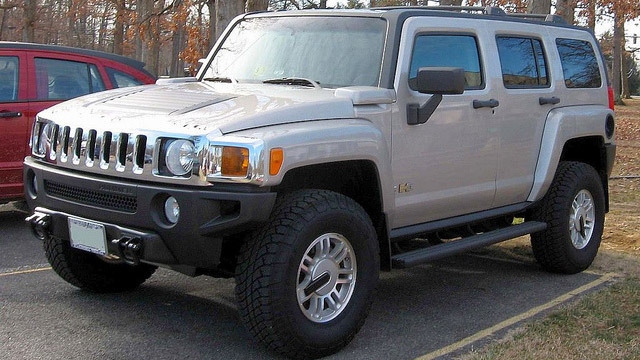 There are many reasons to bring your HUMMER into Premier Automotive Services, and here are a few. We are AAA-approved, we have an A+ rating with BBB, we’re a member of ASA, and our technicians are ASE-Certified. Like the inner workings of your HUMMER, our auto technicians work in sync with one another. We deliver the truth to you about what’s happening inside your vehicle. We believe in transparency. “WOW. I have never been to a better auto shop than these guys. My car had a shaking problem when I would go over 40. Of course, when these guys took it on a test drive the car didn't do a thing but instead of looking at me like I was crazy they did everything in their power to help me and eventually found a problem that helped the issue. They then called an UBER for me to take home and then Josh came himself to come to pick me up when my car was done. Who does that?! These guys! On top of that, Josh was so personable and made the car ride a fun experience. They even suggested minor things that could be fixed and scheduled me for a time that worked best for me. I'm so impressed at the amazing work these mechanics did, the people skills they possess, and the professionalism of the company. I will be a committed and loyal customer from here on out.” -- Daley K.
Our technicians at Premier Automotive Services would love to service your HUMMER. Our guiding principle is to take care of our customers first. Why not schedule an appointment today? We are conveniently located at 25009 Pacific Hwy S, Kent, WA 98032. Our hours are 8:00 AM - 5:30 PM, Monday - Friday.